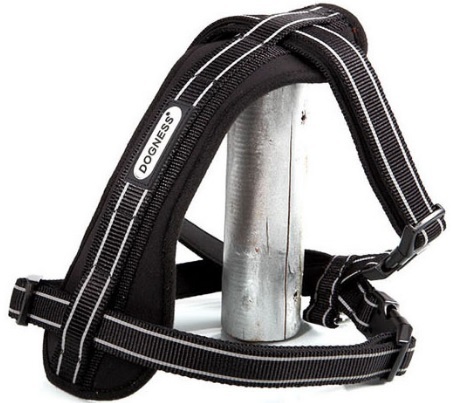 Range of superior quality Adjustable Collars, Leads and Harnesses. •	Soft and comfortable neoprene padding. •	Individual and unique design. •	Dogness metal shield ornament on collars and leads. •	Dogness patent A-Grade Carabeena clip and D Locks are made from an anti-rust and non-fade zinc alloy material. The minimum strength is 7 times more than pet’s weight. •	Superb packaging to present product and enhance sales.